In 2018, the AFL was ruined. Well, it was if you asked every former player turned expert commentator. The quality of the game was horrific, matches were looking ugly and there were not enough goals kicked. The solution? Implement new rules. A 6-6-6 formation at centre bounces was introduced during the off-season in an attempt to open the game up a little and encourage scoring. And yes, to an extent the rule is working. 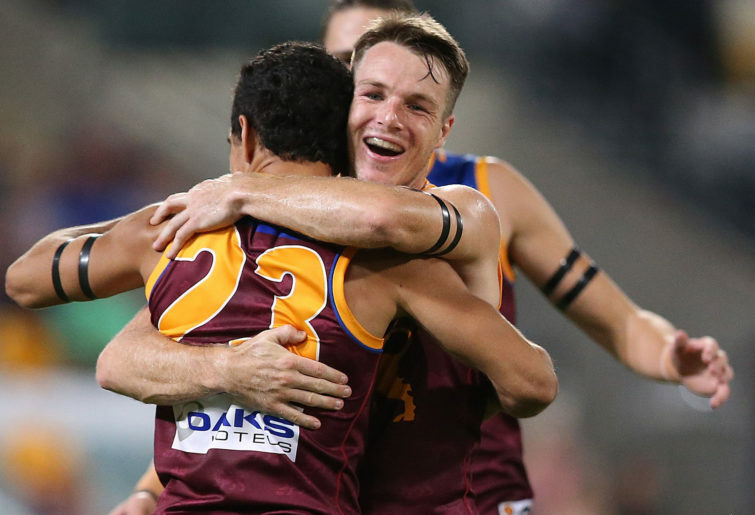 The Brisbane Lions in Round 2 provide a great example. Brisbane scored 43 points from centre bounces to North Melbourne’s 14. The Lions doubled North’s centre clearances that afternoon (20 to 10) and quick entries into the forward 50 resulted in big goals, especially in the final 15 minutes of the final quarter, when the game was in the balance. So it’s opened the game up and created more opportunities to score, but it hasn’t resulted in more goals. Of the 32 games played so far this season, the ton has only been achieved 13 times. The issue of goal kicking was never going to be fixed by a few rule changes off season. Because you can give teams more opportunities to score, but they won’t necessarily take their chances. The amount of opportunities wasted in front of goal due to lack of confidence or lack of ability is at the heart of the issue. I’ll give you a few examples from the weekend gone by. Halfway through the second quarter on Saturday night, North Melbourne had scored 1.9 and finished with 17 behinds for the game. Ed Curnow had the opportunity to kick the sealer for Carlton late in the final term. I don’t need to remind Carlton fans how costly his miss was. Of the nine games played this weekend, only one – Richmond versus Port Adelaide – saw both sides score more goals than behinds. Yes, there are rushed behinds that come into consideration but it doesn’t excuse the main issue at hand. 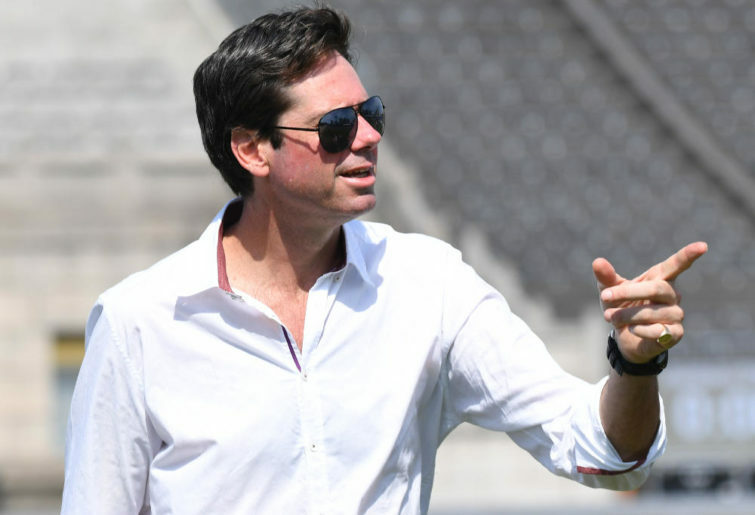 If AFL CEO Gill McLachlan really wanted to see more goals in a game, he needed to put on a goal-kicking master class over summer. Yes, the rule change has created more opportunities but it’s the players’ responsibility to make the most of them. This shouldn’t be news to anyone, either. Accuracy in front of goal has been on a slow decline for a while now. In round 4, 1999 teams kicked 214 goals from 380 scores (56 per cent). In round 4, 2009 teams kicked 201 goals from 385 scores (52 per cent). In round 4, 2019 teams kicked 183 goals from 372 scores (49 per cent). It’s also important to note that since 2009, the rushed behind rule was changed so kick-out defenders could not simply walk backwards if there was nothing they liked on offer. There has been an addition of two sides between 2009 and 2019 but that simply gives us a larger sample size to work with, rather than impacting the averages. The game has changed so much since the turn of the century and with the physical demands increasing on players every year, drafting has become increasingly focused on fitness and athletic ability rather than talent. That is not to say our players lack talent but it probably means we will never see a Scott Cummings type player in our game again. In his 128 game career, Cummings kicked 349 goals, picking up a Coleman Medal in 1999 and club leading goal-kicker gongs three times on the way. He spent most of his time at full forward and rocked a hectic dad bod, but he was recruited on talent and not athletic build. And more often than not, he delivered. So the demands of the game have changed and there’s nothing wrong with that. It simply means we need to deal with the consequences of lower scoring games. But who says low scores don’t equal entertainment? Four games were decided by less than 10 points this weekend and none of the eight sides involved scored three figures. Yes, some were of a higher quality than others but all four were entertaining. The real issue doesn’t lie in the lack of goals, it lies in the effect these changes are having on our umpires. The standard of umpiring has been pretty ordinary in the opening four rounds of the season. When watching your own side, you think the umps are rubbish and doing your team no favours at all. But when you are watching with neutral eyes, it’s easy to see how overwhelmed the umpires would be during a game. Yes, it’s their job but it hasn’t been made any easier by the AFL. Every year the umpires are bombarded with a lot of new rules, most of which are unnecessary and just create more confusion. There is so much for the umpires to think about during every second of play it’s no wonder there’s confusion and no one knows what the real rules are. The AFL is so desperate to ‘save the game’ that as a result they’re making it more difficult for everyone to keep up with. AFL is evolving at lightning pace and instead of trying to stop that from happening, AFL officials must do what they can to enhance its new strengths. As for the goal kicking? That’s for the players to fix and not the AFL. Marnie Cohen is a former journalist turned PR girl who used to work with the Geelong Advertiser and Daily Telegraph. A passionate North Melbourne supporter with a lot of life for Nat Fyfe, she thought she had hobbies outside of AFL but truthfully, footy is life.